We do it all the time: whether it’s to do work, surf the web, or pass time on our phones. We do it everywhere: at the airport, at hotels, even at a café or restaurant. We all connect to a public WiFi network at one time or the other. No doubt, public WiFi is incredibly convenient and usually really easy to connect to; sometimes there’s not even a password. Unfortunately, convenience and security have an inverse relationship when it comes to the Internet. Usually, we give as much thought to logging into public WiFi as we do when accepting the terms and conditions of a new program or application. Our eyes glaze over and like zombies in search of brains to eat, we blindly connect to the first available WiFi network. Our desire to be connected in order to log into Facebook, snap, shop, or watch videos overshadows any concern over Internet privacy and security. In fact, many are simply unaware of the dangers of public WiFi at all. The biggest concern when using public WiFi is what’s known as man-in-the-middle attacks. These are exactly what they sound like, they collect information from the airwaves as data travels from your device. The prominence of these kinds of attacks is due to the ease in which they can perpetrated. The equipment and technological knowhow necessary is relatively small. Man-in-the-middle attacks allows hackers to capture your login credentials to social media, email, even banks. To make matters worse, there is virtually no way that you can tell if your surfing is being intercepted. If the hacker is more technologically advance they may even employ a knock off network that mimics a legit network but is instead routed through the hacker’s device, sending all of the internet traffic through them. Again, there is often times no way to identify these rogue networks. The hot spots for these kinds of attacks are cafés and coffee shops where we are likely to lounge around and soak up the free WiFi for various reasons. The newest annual Mobile Security Report from iPass surveyed 500 technology companies from the US, UK, Germany, and France and found, among other things, that 42 percent of respondents were concerned about their employees working from a café. 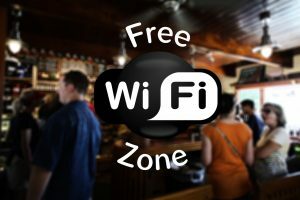 A resounding 68 percent of those companies surveyed have placed some sort of restrictions on employees use of public WiFi networks, including 33 percent who have completely forbidden its use for its employees. The takeaway from this is clear: if some of the top technology companies can’t trust their highly skilled and tech savvy personnel with public WiFi then the average user should be even more concerned. Another conclusion is that the absolute best way to protect yourself on a public WiFi network is complete abstinence. However, for many swearing off the convenience of public WiFi networks is too much to ask. This is where a VPN, or virtual private network, comes in. There are many reasons why people use VPNs. Some use it to skirt around geoblocked websites and services, some to work remotely, and some purely for the privacy aspect. However, it is another similar, yet distinct characteristic that VPNs have which make them perfect: security. 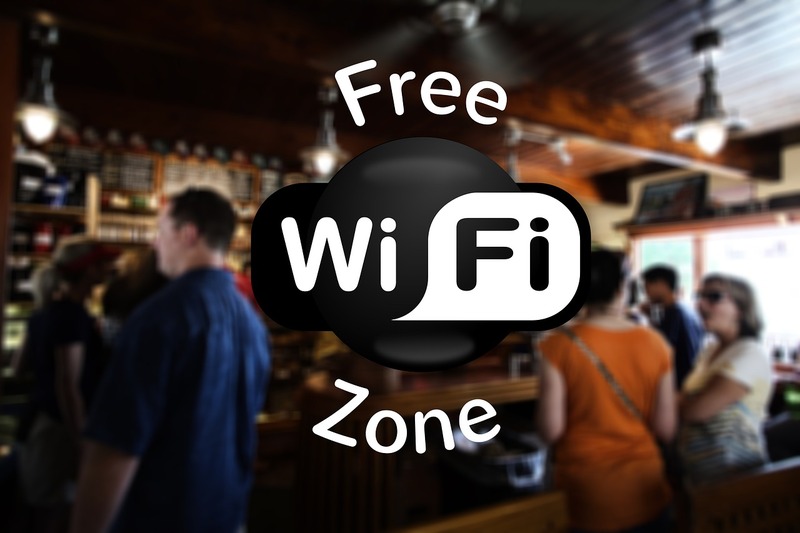 Raghu Konka is the vice president of engineering at iPass, the mobile security firm that conducted the survey, and encourages companies not to prohibit their employees from using public WiFi. Instead, he suggests that companies encourage their employees to use public Wifi smartly by only using secured websites and, you guessed it, always use a VPN. In grossly oversimplified terms, a VPN creates a tunnel in which your online traffic passes through. 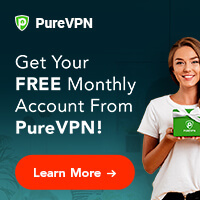 This creates privacy that nobody outside of the VPN connection can see. 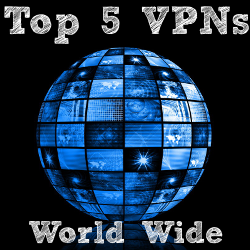 Additionally, VPNs also incorporate encryption in order to maintain the security of the internet traffic. They do this by offering a variety of protocols (usually UDP, TCP, L2TP, and PPTP- more on those in another article) utilizing 256-bit encryption. This is the same level of encryption that governments use to protect their most secret documents. Needless to say, even though there are higher levels of encryption available, 256-bit alone is pretty stout. It only takes one moderately competent hacker to make you wish you had used a VPN on your last visit to Starbucks. And with the ease of use and inexpensive nature of VPNs there’s no reason why you shouldn’t have one at your disposal. In most cases, a measly 10 bucks a month will cover your computer and/or tablet as well as your cell phone. And with a single click of a button you can connect to your VPN and surf with ease of mind. Take the time to compare various VPN services and decide which one fits your needs and budgets. 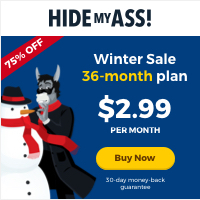 You never know when you’ll regret spending a little to protect a boatload.